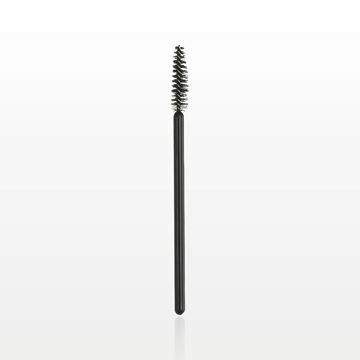 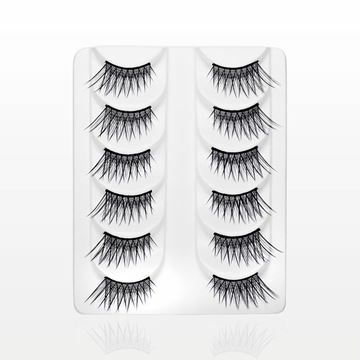 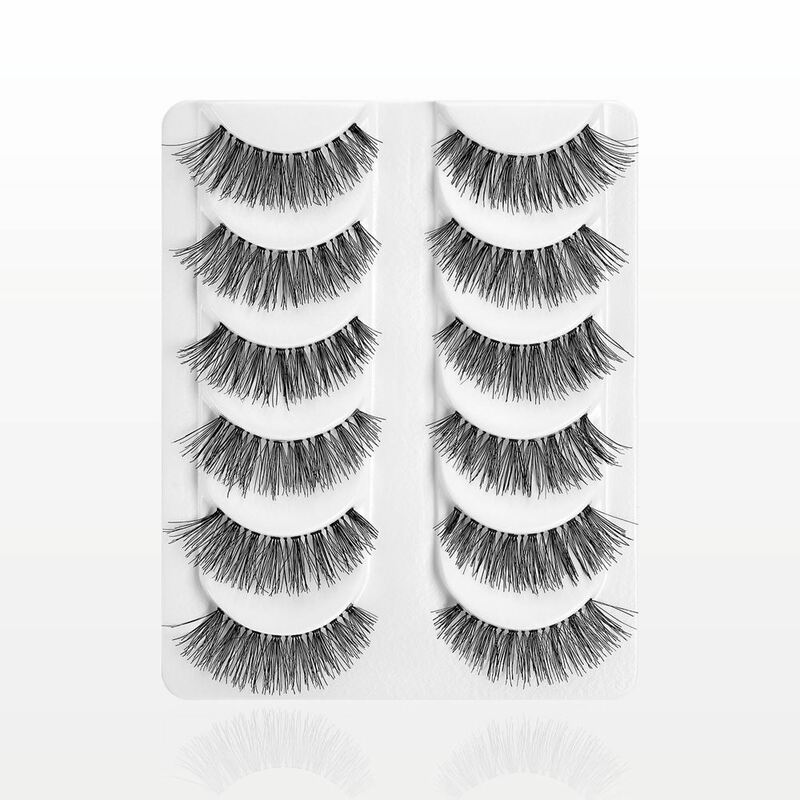 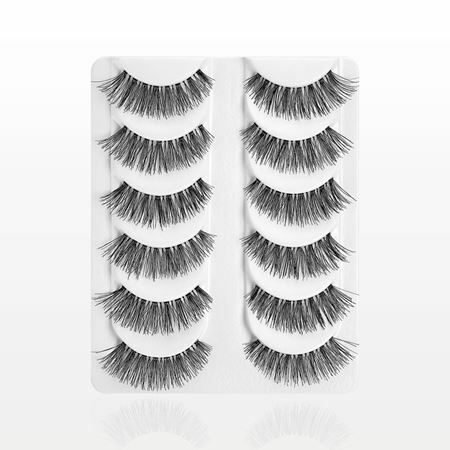 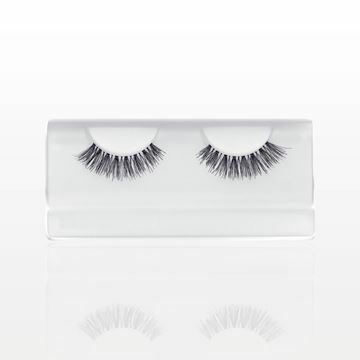 These demi false eyelashes will add a unique fullness to lashes with an overall natural effect. 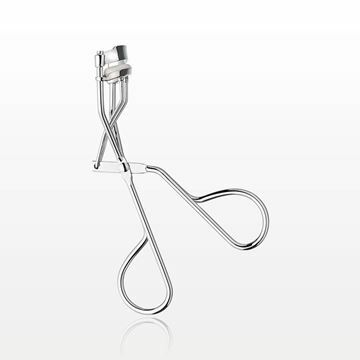 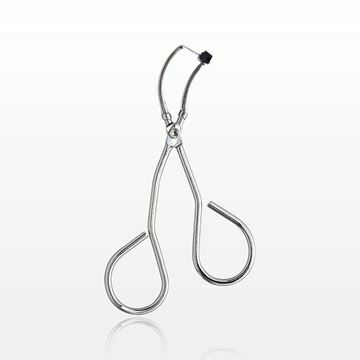 The shorter band will fit most eye shapes without trimming. 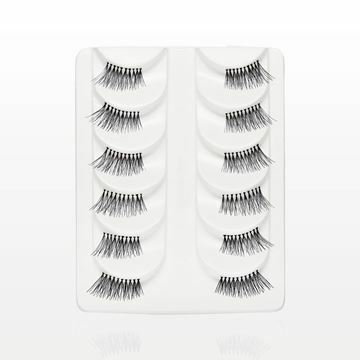 Lashes are presented inside a white tray that fits in an outer black box with see-through window. 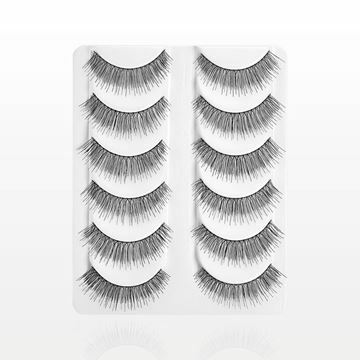 336 of our 2018 Catalog.